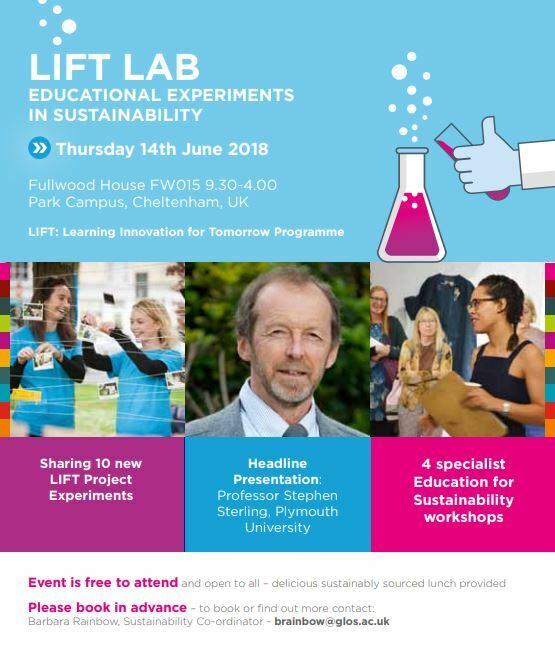 The LIFT LAB celebrates the range of projects funded in the University’s LIFT: Learning Innovation for Tomorrow programme this year. LIFT supports staff to change their academic practice, inspired by Education for Sustainability (EfS). 10 new projects across 7 academic schools and a linked R&D strand will share their experiments and engage in dialogues and workshop sessions with Education for Sustainability experts and National Teaching Fellows from the University.